We’d love your help. Let us know what’s wrong with this preview of The Arm by Jeff Passan. Every year, Major League Baseball spends more than $1.5 billion on pitchers—five times the salary of all NFL quarterbacks combined. Pitchers are the lifeblood of the sport, the ones who win championships, but today they face an epidemic unlike any baseball has ever seen. One tiny ligament in the elbow keeps snapping and sending teenagers and major leaguers alike to undergo surgery, an issue the baseball establishment ignored for decades. For three years, Jeff Passan, the lead baseball columnist for Yahoo Sports, has traveled the world to better understand the mechanics of the arm and its place in the sport’s past, present, and future. He got the inside story of how the Chicago Cubs decided to spend $155 million on one pitcher. He sat down for a rare interview with Hall of Famer Sandy Koufax, whose career ended at 30 because of an arm injury. He went to Japan to understand how another baseball-obsessed nation deals with this crisis. And he followed two major league pitchers as they returned from Tommy John surgery, the revolutionary procedure named for the former All-Star who first underwent it more than 40 years ago. 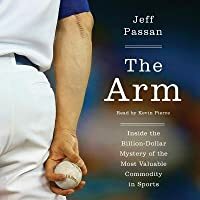 Equal parts medical thriller and cautionary tale, The Arm is a searing exploration of baseball’s most valuable commodity and the redemption that can be found in one fragile and mysterious limb. To ask other readers questions about The Arm, please sign up. What Should I Read Next 2016? For 130 years, pitchers have thrown a baseball overhand, and for 130 years, doing so has hurt them. Starter or reliever, left-handed or right-handed, short or tall, skinny or fat, soft-tossing or hard-throwing, old or young—it matters not who you are, what color your skin is, what country you’re from. The ulnar collateral ligament (UCL) , a stretchy, triangular band in the elbow that holds together the upper and lower arms, plays no favorites. If you throw a baseball, it can ruin you. When the UCL breaks, only one fix exists: Tommy John surgery…More than 50 percent of pitchers end up on the disabled list every season, on average for two months—plus, and one-quarter of major league pitchers today wear a zipper scar from Tommy John surgery along their elbows. Major League Baseball (MLB) currently spends about $1.5 billion a year on pitchers. There is considerable financial incentive for organized baseball to find a solution to this epidemic of injury. And there is certainly plenty of human need on the part of players and their families for something to be done. How did this plague of injuries come to be and what can be done about it? Jeff Passan is currently the lead baseball columnist at Yahoo! Sports. He got loose, picking up his journalism degree at Syracuse in 2002, did some soft-toss, covering Fresno State basketball for two years, warmed up his baseball writing in the hardball beat at the Kansas City Star for two years, and has been in the starting rotation with Yahoo for ten. I am sure his editors at Yahoo will be thrilled to know that. He co-authored Death to the BCS: The Definitive Case Against the Bowl Championship Series, published in 2010. The Arm is his first solo book. Mostly, I wanted to understand this for my son. He was five years old. He loved baseball. He wanted to play catch every day. He was hooked, like his dad. And the more I heard stories from other parents—of their sons getting hurt or boys they know quitting baseball teams because their arms no longer worked—the more I needed to figure out what was happening to the arm. Passan takes parallel approaches to his subject, mixing hardball facts with softer stuff. There is a lot of information to impart. He compares the current injury rate and occupational environment to those of the past. He looks at the structure of the arm, considers the stresses it endures and presents competing theories on the causes of the current epidemic. He spends time with experts in the current state of UCL injury medicine, and talks with several proponents of alternative approaches to injury prevention and rehabilitation. One of these is Doctor Tommy John, Jr. And yes, Passan does talk with TJ Senior as well. He examines promising models for the future, including one new surgery that could have a dramatic impact on recovery time and another training approach that shows promise as a way of preventing the injury in the first place. He follows through, making a large point of showing that many of the current approaches to prevention and rehab are based more on wishful thinking than on hard science. He also goes the distance, traveling to Japan to look at how things are done there, and seeing if their approach is better or worse for arms. While I revel in theory and data, there are many for whom it is much more informative to see how this widespread and growing problem affects actual humans. Analyzing the causes and effects, lost revenue, and lost time can leave one remote to the impact on living players and families. Passan’s other, softer approach comes in here. He had hoped to find one pitcher who would allow him to tag along through the entirety of his Tommy John process. He managed to find two. The emotional, human heart of The Arm lies in the stories of professional pitchers Daniel Hudson of the Diamondbacks and Todd Coffey. Coffey succumbed to a need for Tommy John a second time while pitching for the LA Dodgers. Passan is our eyes and ears as we accompany Hudson and Coffey on their painful sojourn from the Major League venue, through surgery and rehab, and their daunting struggle to make it back to the show. It may take a team to win a pennant, and a medical team to stitch up a damaged limb, but it takes supreme dedication to a lengthy and tedious rehab program, persistent optimism and a supportive family to lift a player from the depths of a career-threatening injury back up to a place where the lifetime dream of pitching in the major leagues (and the income associated with that career) might again be realized. The physical pain of a UCL tear can be intense. The emotional pain on display here is heart-rending. The struggles the players endure are intense and long-lasting, the triumphs uplifting, the defeats crushing. One of the joys of The Arm is when surprising bits of information drift past like an Eephus pitch or an RA Dickey knuckler. There was a time when surprising solutions were tried to address arm problems. In the 1950s in Brooklyn (not Victorian London) doctors working for the Dodgers actually extracted teeth from prize pitching prospect Karl Spooner. “They thought poison was coming down his shoulder,” said Sandy Koufax. One shudders to imagine what they might have tried when faced with a knee injury. Passan offers some chin music to organizations like Perfect Game, an entity that, among other things, organizes tournaments for promising young (sometimes absurdly young) amateur players, and has played a significant role in youth baseball. I had never heard of it before, and had no notion the impact such entities have had. There are some hopeful signs (one finger for likely, two for less certain?) for being able to stem this problem in future. Flush with a large sack of TV moolah, the Dodgers have invested some real money in an in-house think-tank looking at player health issues. As Passan points out, it would be better for the resulting intel to be available league-wide, rather than held by one team for competitive advantage, particularly as the Tommy John plague has struck children at an alarming rate. There is some promising research that looks to the relationship of forearm muscles to the UCL. Maybe forearm training can do for torn UCLs what increased shoulder muscle training did to reduce career death by torn rotator cuff a few decades ago. Jef Passan has the smooth delivery one would expect from someone who writes every day about sports. He drops in occasional dollops of absolutely lovely description like a 12-to-6 hook. The Currents Lounge inside the Hyatt Regency Jacksonville is a paint-by-numbers hotel bar, with a few flat-screen TVs, a menu of mediocre food, and a broad liquor selection to help people forget they’re drinking in a hotel bar in Jacksonville. Nothing beats a major league mound, a ten-inch-high Kilimanjaro that few get to climb. Nobody in team sports commands a game like the pitcher. He dictates the pace and controls the tempo. A goalie in hockey or soccer can win a game with superior reaction. A pitcher prevents action. There is great power in that. So, a sweet, writerly changeup to go with his intel-rich heater. I have a particular interest in the subject matter here. A baseball fan since gestation, a Mets fan since their birth, I have been drooling over the possibility of (no, not tossing up a wet one) another trip to the MLB finale for my team, an organization with a collection of elite arms rarely seen in the history of the game. As a Mets fan forever, I am also far, far too familiar with the impact injury can have on the team, on any team. My Metsies’ chances flow nicely down the drain should the arms on which team hopes rest succumb to injury. Three of the five have already had Tommy John surgery, Zach Wheeler, Jacob DeGrom and Matt Harvey. How long can it be before Noah Syndergaard and rookie Steven Matz fall prey? As I was preparing this review, I came across an item of particular interest on the NY Mets site. Mets rotation features rare trio of flame-throwers, which focused attention on Noah Syndegaard, possessor of one of the most blazing fastballs in the game, and was reminded of one of the bits of intel in The Arm, namely that the higher the pitch speed, the likelier a pitcher is to be injured. The path from flame-thrower to flame-out is well worn and covered in the ash of lost dreams. And what if one of the already cut three should fall again? I am sure baseball fans everywhere share similar concerns. Even though, as followers of the national sport, we really have no impact on what happens on the field, it would be nice to at least be able to talk about the injury horrors from a base of knowledge, instead of the more usual dugout of pure, ill-informed bias. Passan’s The Arm offers fans that opportunity. If, like me, you get a bit queasy, reading detailed descriptions of bodily innards, if, like me you experience what seems phantom sensations in your joints when reading about things that may go wrong there, if, like me, you still have tenderness or feel far too vulnerable in body parts like those under consideration here, The Arm will lean on all those buttons and feed your inclinations toward physical discomfort. On the other hand (the good one) if you are a baseball fan (check), player (sadly, no), a coach (once, for many years) a parent of a player, or several (long ago), or a friend or a relation of a player, get over the quease, have a drink, or apply whatever substances, legal or prohibited, ease the condition (no, not an ice-pack to the elbow, but if that works, well, sure, why not), whatever will get you past the discomfort, and shake it off. Jeff Passan's opus is truly a sight for sore arms and must read for you. BTW - November 16, 2016 - Rick Porcello of the Boston Red Sox was awarded the American League Cy Young award. In April 2015 he had Tommy john surgery. Pretty frackin' amazing! A bit of Light reading from Neil Roach, et al, on the evolutionary biology of throwing. This book - written by a sports journalist - was one large stage to drop names. Names of professional players, names of expected teenage players, names of coaches, names of trainers, names of agents, names of every man woman or child that has ever been anybody in the corporate game of baseball. Very confusing and as the book goes on very unappealing. I did read and learn many things I was unaware of in the game of baseball. Especially about the injury called UCL - ulnar collateral ligament - and This book - written by a sports journalist - was one large stage to drop names. Names of professional players, names of expected teenage players, names of coaches, names of trainers, names of agents, names of every man woman or child that has ever been anybody in the corporate game of baseball. Very confusing and as the book goes on very unappealing. I did read and learn many things I was unaware of in the game of baseball. Especially about the injury called UCL - ulnar collateral ligament - and the aptly named surgery, Tommy John, that gives the pitcher an extended time to play ball - usually. There were parts of this book that were very interesting and very knowledgeable. Had this author not devised a way to mention every person from the Commissioner of Baseball down to the ball boy, and centered on the 4 or 5 players that were really interesting and had stories about the UCL injury, this would have been a much much better novel in my opinion. Knowing his repertoire of friends and acquaintances in the business was not in the least bit interesting to me. If I had to compare this book to the book on football injuries, CTE, I would say that the book Concussion was at least 3 times better. Not that the baseball injury is of a lesser importance, just that the way it was told was so much better in Concussion. An excellent book about the game of baseball in general and its most valued commodity in particular. I do have a personal interest in the subject but even without that I believe I would have found this a most enjoyable book. It does focus on just one current aspect of this game but it is an aspect central to so much that concerns who wins and who loses--both the players and management and primarily where the money goes and why. Ask any fan who the most important player on any team is and the sta An excellent book about the game of baseball in general and its most valued commodity in particular. I do have a personal interest in the subject but even without that I believe I would have found this a most enjoyable book. It does focus on just one current aspect of this game but it is an aspect central to so much that concerns who wins and who loses--both the players and management and primarily where the money goes and why. Ask any fan who the most important player on any team is and the star pitcher is the one named. Media and the fans focus much of their attention on these players. This book looks closely at the epidemic and most common injury to pitches, the surgery that corrects it and how players cope with both the results both good and bad. Tommy John surgery has become so common that it is becoming difficult to find a pitcher who has not been under the knife for this procedure. In some circles among young players it is believed to actually make the throwing arm stronger but the reality is different. Mr Passan does an excellent job of explaining with research/numbers and personal stories how this procedure has worked or not worked for the players involved. I've read many baseball books but found this to be most readable and beautifully written. I would recommend it to coaches who assist players of all ages, parents (particularly of young players entering the crazy world of showcases and travel teams--often at ages as young as 8), athletic trainers and anyone who loves the game of baseball. The funny thing about this book is that I knew there was an epidemic of elbow injuries around pitchers, but I really didn't have the idea that young teen pitchers had failing arms because of things like overuse and or parents/coaches pushing them too hard. I really enjoyed the parts of this about baseball Japan, and Jeff Passan really does a good job including extra history along with following along the main pitchers in the book, Todd Coffey and Daniel Hudson. Multiple times I had to stop mysel The funny thing about this book is that I knew there was an epidemic of elbow injuries around pitchers, but I really didn't have the idea that young teen pitchers had failing arms because of things like overuse and or parents/coaches pushing them too hard. I really enjoyed the parts of this about baseball Japan, and Jeff Passan really does a good job including extra history along with following along the main pitchers in the book, Todd Coffey and Daniel Hudson. Multiple times I had to stop myself from searching their stories on Wikipedia to preserve the story. Loved it! To my way of thinking it's sorta the counterpart to Mark Fainaru-Wada 's book LEAGUE OF DENIAL. All fans of baseball and/or good nonfiction should check it out. This was a very good book. It covers one of the biggest issues in baseball - how the hell do you keep a pitcher's arm healthy? As a hook, Passan focuses on two pitchers trying to make it back from Tommy John surgery: Daniel Hudson and Todd Coffey. By the end, Hudson is back with the Diamondbacks, while Coffey is trying to restart his career in the Mexican League. The stories of those two pitchers and their ups-and-downs provide the human element - what it's like to be a pitcher with all the unce This was a very good book. It covers one of the biggest issues in baseball - how the hell do you keep a pitcher's arm healthy? As a hook, Passan focuses on two pitchers trying to make it back from Tommy John surgery: Daniel Hudson and Todd Coffey. By the end, Hudson is back with the Diamondbacks, while Coffey is trying to restart his career in the Mexican League. The stories of those two pitchers and their ups-and-downs provide the human element - what it's like to be a pitcher with all the uncertainties, doubts, and other problems. Should you cancel a workout in front of scouts because your arm is a little sore? Should you delete your twitter account lest you say something offensive that turns teams off you? How do you handle the day when you're no longer a pitcher? Like I said, that's the human element. But for me the more interesting parts of the book were the other chapters. Only every other chapter is on Hudson and Coffey surviving in rehab hell. The rest are on the issues surrounding the arm. You get a chapter on the rise of youth baseball and the Perfect Game academy that essentially everyone in baseball thinks is a horrible thing for arms. (Well, everyone but the guy in charge of Perfect Academy, who is trying to spread it out to 9-year-olds and increase its presence). You get a chapter on arm problems in Japan, a chapter on Tommy John and Dr. Frank Jobe, and a really nice chapter where Jeff Passan was allowed to get an inside seat to Jon Lester's free agency negotiations. Towards the end, Passan takes a bigger picture at the overall debate on the elbow - and basically argues it's one giant swamp where all sorts of experts and so-called experts have totally differing opinions on what to do. Passan does see some glimmers of hope in a chapter near the end, but for now it's still uncertain. Intriguing analysis of the problem of "the arm" in baseball. The most valuable commodity in the sport is also its most fragile. The most shocking thing I learned is that MRIs cost $70 in Japan, compared to $1000 in the U.S.
A bit too much Trevor Bauer for me but otherwise really great! I learned a lot. This book gives some of the history of Tommy John surgery, the common elbow surgery often performed on pro baseball pitchers. It describes the history of the surgery itself, how pitching (and baseball) has changed over time -- especially how it has changed relative to the training, maintenance, use, and recovery of pitchers. Passan gives some more personal stories of doctors, trainers, and pitchers: retired, current, and hopeful. Passan does a good job of telling the history of the surgery and gi This book gives some of the history of Tommy John surgery, the common elbow surgery often performed on pro baseball pitchers. It describes the history of the surgery itself, how pitching (and baseball) has changed over time -- especially how it has changed relative to the training, maintenance, use, and recovery of pitchers. Passan gives some more personal stories of doctors, trainers, and pitchers: retired, current, and hopeful. Passan does a good job of telling the history of the surgery and giving context of how baseball has changed over time. I enjoyed reading most of the book, and was amazed at the huge range of though as to the best way to train pitchers so they don't get injured, the best way to keep players healthy, and the best way to recover: honestly, the comparison of being able to re-create a ligament to the point of reviving pro baseball careers, contrasted with the lack of real understanding about best long-term practices, is simply stunning. But, this book couldn't really keep my attention. As Passan covers stories of pitchers who up-and-coming pitchers who need the surgery and are trying to be recruited, and pitchers that have had a partial career and are trying to come back, I started to feel like they started to blend together: there's always a risk that the surgery may work or not, it's always difficult for them to stick with the recovery plan, they're never sure if it's going to work. For each person, their life is at a fork, and the choice of direction is not their own. And yet, after hearing so many stories that are similar, I could not maintain the same level of empathy. This is an extremely well researched look into the history of Tommy John surgery and the injury epidemic that is currently ravaging MLB pitchers. Jeff Passan blends personal stories from the major leagues and little league, and even dives into Japanese baseball. He develops a close relationship with Todd Coffey and Daniel Hudson, two MLB pitchers attempting to return from devastating elbow surgery. He chronicles their feelings, their struggles, and really takes you into the mind of a pitcher who This is an extremely well researched look into the history of Tommy John surgery and the injury epidemic that is currently ravaging MLB pitchers. Jeff Passan blends personal stories from the major leagues and little league, and even dives into Japanese baseball. He develops a close relationship with Todd Coffey and Daniel Hudson, two MLB pitchers attempting to return from devastating elbow surgery. He chronicles their feelings, their struggles, and really takes you into the mind of a pitcher whose career hangs in the balance. Passan even goes into the operating room to learn what really happens when a pitcher undergoes Tommy John surgery. You might not want to read the first chapter with your lunch, as I did. Audio - this consideration of the travails of a ligament just a couple of inches long is an interesting peek into the stresses - physical and emotional - of baseball pitchers. I enjoyed the author's use of personal stories to illustrate the process from injury to rehabilitation to eventual recovery (or not). I was surprised to learn how slow Major League Baseball has been to launch investigations into causes and remedies for the arms of their most valuable commodity. It is reminiscent of how the Audio - this consideration of the travails of a ligament just a couple of inches long is an interesting peek into the stresses - physical and emotional - of baseball pitchers. I enjoyed the author's use of personal stories to illustrate the process from injury to rehabilitation to eventual recovery (or not). I have been a huge baseball fan for almost 30 years and have come to accept Tommy John surgery as a commonplace part of the game. 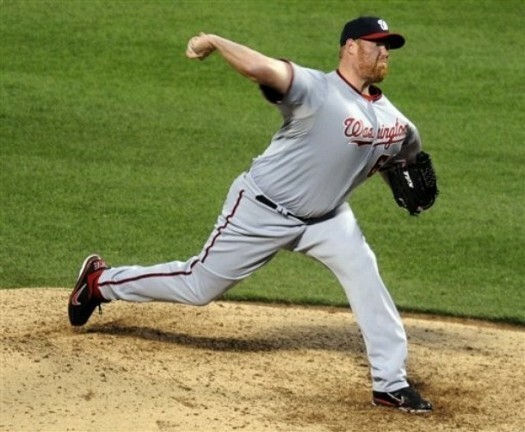 Over the years, though, the odds of a pitcher coming back from this surgery have gone from slim to favorable. Techniques in the surgery itself have improved and rehab programs have as well. But after all these years the question of WHY some pitchers blow out their elbows and others do not remains a mystery. In this book, author and Yahoo Sports columnist Jeff Passan e I have been a huge baseball fan for almost 30 years and have come to accept Tommy John surgery as a commonplace part of the game. Over the years, though, the odds of a pitcher coming back from this surgery have gone from slim to favorable. Techniques in the surgery itself have improved and rehab programs have as well. But after all these years the question of WHY some pitchers blow out their elbows and others do not remains a mystery. In this book, author and Yahoo Sports columnist Jeff Passan explores this epidemic by shadowing and interviewing a number of people associated with this issue, including players, coaches, trainers, doctors, and various researchers. Throughout the book he focuses a lot of time on two Tommy John patients in particular—big league pitchers Daniel Hudson and Todd Coffey, both of whom are attempting to come back from their second surgeries around the same time. Although I found all of the stories and first hand accounts to be very interesting, I was initially frustrated that no definitive conclusions were being drawn as to what truly causes the ulnar collateral ligament (UCL) to tear. But then I realized that that was the point. Despite the vast riches being reaped by MLB every year, very little resources have been dedicated to injury prevention in general, and helping to solve the Tommy John crisis in particular. Yet, teams continue to shell out top dollars to sign starting pitchers to lucrative guaranteed long term contracts. Towards the end Passan touches on some encouraging new studies and technology that will likely lead to both reduced injury risk and quicker recovery times in the future. 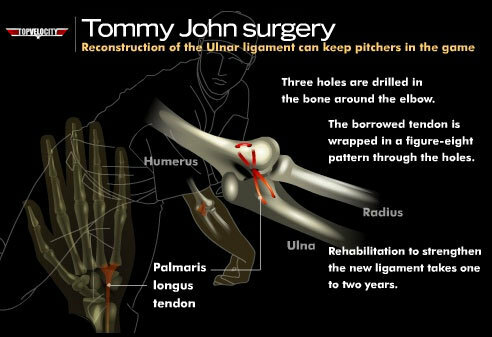 However, despite it being 40 years since Tommy John underwent the first surgery that would be named after him, the efforts to fully understand the injury are still in the early innings. I found Passan’s writing style to be very fluid. He jumps around a lot but the transitions are seamless. Even though this was a full length book it felt like I was reading a long form article, which is a compliment. It was also interesting reading this two years after publication and almost three years after most of his research was done. I had more up to date knowledge of some of the players mentioned. Also, some of the players mentioned who were healthy have since gone under the knife! I am also happy to say that the one example from the Orioles that was mentioned, Dylan Bundy, is still pitching for my home team today (saying this a week after we traded away most of our assets, but I digress). All in all an interesting and quick read. 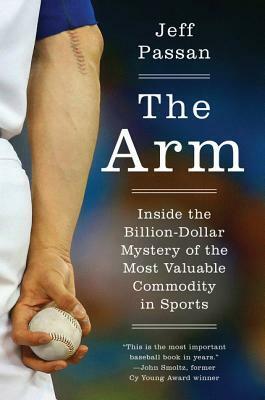 A blurb on the cover of The Arm from Baseball Hall of Famer John Smoltz describes it as, "The most important baseball book in years." If you read a lot of books about any topic you're probably numb to cover blurbs; even underwhelming ones can be dressed up to sound interesting. In this case, it is not an exaggeration. There are two big questions facing the game of baseball in America today. One is: Why are so many arms, specifically the UCLs in their elbows, breaking down? And the second is: What can be done to fix this problem? These are the questions that Passan, a veteran MLB reporter for Yahoo Sports, tackles in the book. For baseball fans, myself included, the ever-present risk of pitcher arm injuries is something that you just kind of internalize after a while. You hold your breath a bit when the trainer comes out to see a pitcher on your favorite team. You hope he's not shaking his arm or holding his elbow. You hope that there's not going to be a consultation with Dr. James Andrews, who performs many of the high-profile surgeries for these blown-out ligaments. When the worst happens, when they do need Tommy John surgery, they pass out of awareness of the fan for a year or more. Their rehab and recovery is something that happens out of the public eye. The way a fan experiences this is all very impersonal. You hear the appointment's been scheduled, the surgery is successful, and that's that. The big strength of Passan's book here is that he always keeps in his mind that he is not simply writing about arms. Every arm is attached to a person with a career, with hopes and dreams, and every one of those people has a family and a support network who will have to help them through dark times. As he explores a variety of aspects of the problem and possible solution, Passan checks in regularly - the book took three-plus years to come together - with two major league pitchers, Todd Coffey and Daniel Hudson, each of whom had to have multiple complicated surgeries in their careers. Coffey and Hudson and their families allowed Passan into their lives for the duration of their rehab. This is a window into the boredom and frustration and the sometimes-impossible-seeming hope that they all feel as they try to come back. The anxiety is a constant companion too. What if they can't come back? What if they get replaced while they're gone? The empathy for these guys, and others like them, really comes through. Another thing that really makes these parts of the book is that Todd Coffey is the kind of character you could really only encounter in the game of baseball. He is a Personality. The stories about him almost seem too absurd to be true, like how he spends part of his rehab becoming an extreme couponer, out of boredom as much as anything else. It's not even one of the five weirdest things about him. You will also learn about the Todd Coffey Sandwich, his perhaps problematic fondness for "Hot Cheese," and other outrageous yet true things from a journeyman who lived his career on the fringe, but made a long career against all odds. But what makes the book, too, is the history of the problem and what might be done about it. I am a person who I like to think knows a lot about baseball. When the season is going on, I watch it every night, and year round I am reading articles frequently about baseball. Even to a high-information fan like myself, Passan's book brings a ton of new knowledge. From the origin of Tommy John surgery itself to the way that baseball's macho culture may exacerbate an existing problem, the way that youth baseball in both America and Japan may be driving kids toward later injury as adults, anything you could want to know is here. This is apparent from the very first chapter, which begins with a plea from Coffey, that he does not want to receive a dead man's tendon if he can avoid it. What follows is a tense view from inside the surgery room of the second Tommy John surgery for Coffey, which the operating surgeon, Dr. Neal ElAttrache, another well-regarded surgeon who performs many of these, calls his toughest such surgery yet. If Passan wasn't perched over the doctor's shoulder, watching as the surgeon went about moving nerves, drilling holes, stitching a new tendon in there, well, he did a good job of putting it back together. This reads with more intensity than anything you'd find in some prime time hospital drama. It's really as close as you're going to get to experiencing the surgery for yourself. And if you had to get it, you'd still be knocked out anyway. Not everything here is from a pro player's perspective. Passan talks also to amateur players, including the family of a 10-year-old, trying to examine how the stresses from youth and high school baseball add up. There is also a chapter from inside the negotiations of how the Chicago Cubs went about deciding to sign then-free agent pitcher Jon Lester to a $155 million contract - the cat and mouse game with cagey agents, the way that each team's computer formula spits out a player's worth and each team's front office must make an informed decision to rigidly stick to, or ignore, that number. Players do not want to be reduced to a number, especially if that number is less than they feel they're worth. It is a big problem for baseball right now if nothing changes. Passan persuasively argues why the current generation of pitchers, collectively, are ticking time bombs. But if enough people do something about it - and The Arm surely arms them with the knowledge to do so - then maybe the future doesn't have to continue to be this way. A must read for parents of baseball players, baseball players, youth coaches, anyone involved in youth baseball especially. We can stop the cycle of abuse of pitching arms and injuries. An outstanding analysis of how baseball pitchers arms are being misused in all levels of baseball in the US. Excellent discussion of the 'Tommy John' elbow surgery. This book is a long series of articles interspersed with a bit too much Todd Coffey and Daniel Hudson, and doesn't live up to it's subtitle. Let me explain. Many chapters are along the lines of articles from a journal - popular mechanics for instance. These are often interesting, though they draw few conclusions. For an article, that's fine, but I found it a bit frustrating as a chapter. In this book, we learn about kids that require surgery, over and under use among kids and adults, and a histor This book is a long series of articles interspersed with a bit too much Todd Coffey and Daniel Hudson, and doesn't live up to it's subtitle. Let me explain. In this book, we learn about kids that require surgery, over and under use among kids and adults, and a history of the procedure. We go further back in history to our simian relatives and forward to repeat surgeries, with a side trip to Jon Lester's free agency. We receive a glimpse at the year-long rehab (would have liked more here) and a good discussion of injuries in Japanese baseball. Two more interesting chapters examine alternative remedies and strengthening exercises to help prevent problems. After all that, though, we have no solutions - not even a summary of what we know or suspect. Again, not necessary in an article, but very much lacking in a book. We also have the scattershot stories of two guys who recovered from second Tommy John surgeries - one ends up being successful, one less so. These stories are interesting in their way, but don't mesh well with the articles. The styles of the stories also vary considerably - some calendar based facts, some anecdotes. I felt like some facts were skipped or ignored. Side note - I was at Todd Coffey's last home game for the Tacoma Rainiers, and saw him pitch fairly well. In one inning of work, he struck out three batters, allowing only one hit. I don't remember if he ran in from the bullpen. This book is a good read by a writer who did his homework. I enjoyed this look into one of the most common and expensive of all sports injuries, costing MLB teams millions of dollars every year: the torn ulnar collateral ligament. When the UCL tears or breaks off the bone—or pulls off and takes a bit of bone with it, as it does in younger players whose bones are softer—the only proven solution is “reconstruction of the ulnar collateral ligament using the palmaris longus tendon.” This is how Dr. This book is a good read by a writer who did his homework. I enjoyed this look into one of the most common and expensive of all sports injuries, costing MLB teams millions of dollars every year: the torn ulnar collateral ligament. When the UCL tears or breaks off the bone—or pulls off and takes a bit of bone with it, as it does in younger players whose bones are softer—the only proven solution is “reconstruction of the ulnar collateral ligament using the palmaris longus tendon.” This is how Dr. Frank Jobe describes the surgery he first performed on Dodgers pitcher Tommy John in 1974. When Jobe’s first two patients were able to return to pitching, the surgery was deemed a success. And the rest is history. The surgery has become all-too common, so much so that many take it lightly, my own son--a pitcher--looks forward to the only tattoo he says he would ever get: the well-known tattoo featured on the book's cover: red baseball stitches drawn over the scar from a Tommy John surgery. The surgical concept is fairly simple: open up the elbow, carefully move the ulnar nerve out of the way, remove the damaged UCL entirely if necessary, harvest the palmaris longus tendon from the wrist, then drill tiny holes in the elbow bones so that the new ligament can be threaded through those holes and attached to the bone. Secure a blood supply, replace the nerve as delicately as possible (nerve problems can be a difficult side effect), and close the arm up. With luck and prayers, the pitcher might be back on the mound in twelve to eighteen months. Two interesting facts: (1) the new ligament is made from the palmaris longus tendon—the wiry tendon that protrudes from the wrist when you you press your thumb and pinkie fingers together—and has no particular use. The writer calls it “the appendix of the arm.” Dodgers trainer Stan Conte goes further: "God put [the tendon] there, so Frank Jobe could do this surgery." (2) The tendon—yes, tendon—changes biologically during the 24 months following surgery as its tendon cells convert themselves into ligament cells. Sadly, beyond the history and mechanics of the Tommy John surgery, most of the issues explored in THE ARM remain mysteries. What causes a torn UCL? No one knows for sure. What is the most reliable predictor of a torn UCL? Previous elbow problems. (Duh.) What can a pitcher do to prevent UCL problems? Strive for perfect form and mechanics, maybe. Pitch less often maybe. Pitch slower maybe. Avoid year-round baseball. Maybe. Try drills with weighted balls. Or maybe those make it worse. Maybe keep pitch counts low. Maybe keep inning counts low during weekend tournaments. There are those who counsel the opposite sides on every point. As an example, consider Nolan Ryan. THE ARM is unique in that it is both a quick read and a thorough study. Author Jeff Passan seems to have interviewed everyone who matters, traveling from the United States to Japan and spending as much time researching youth sports (particularly the crazy Japanese youth baseball system) as he does American professional baseball. He works with the top medical practitioners and scientific researchers and explores an ample dose of would-be quackery, on the off-chance that one of these snake oils might prove a divine elixir. The book focuses on the contemporary struggles of Daniel Hudson and Todd Coffey, two pro pitchers whose first Tommy John surgery failed almost immediately and the only option was to have a do-over, another year of physical therapy, and another grueling, tantalizing year trying to make it back to the pros. It is a good angle, and I enjoyed following their divergent stories. Unfortunately, many of the lesser lights in this book blurred into an unrecognizable stream of stirrups and pin stripes. I could not keep track of all the athletes, physical trainers, coaches, managers, scouts, writers, and cuff-link wearing agents. I was impressed, nevertheless, by the parade of interviews and trips and flights from coast-to-coast. The writer engaged in an epic quest searching for answers to a problem that seems only to be growing, thanks in part to the Perfect Game Showcase and the business of travel ball that has grown up all over America. The one-season sport has now become at least a three-season sport for so many kids: fall ball, spring baseball, and summer leagues. Sadly, answers to the UCL problem may be as elusive as the Holy Grail. Why does it tear? How can we prevent it? Simply a must read for every baseball fan, every baseball player, and--perhaps most importantly--every young baseball player's parent. To be honest, there wasn't a lot here medically that I didn't already know, although I did not know that 40% of people do not have a palmaris longis. (I have two excellent-looking ones, and after reading this book, I know exactly what I want done with them when I die. My long time dream of pitching in the major leagues is not yet dead). But the faces and stories Simply a must read for every baseball fan, every baseball player, and--perhaps most importantly--every young baseball player's parent. To be honest, there wasn't a lot here medically that I didn't already know, although I did not know that 40% of people do not have a palmaris longis. (I have two excellent-looking ones, and after reading this book, I know exactly what I want done with them when I die. My long time dream of pitching in the major leagues is not yet dead). But the faces and stories behind the stats and facts are what make this book sing. With stat after stat and story after story there lie cautionary tales, and the scientific evidence is simply too much for any sane person to ignore. This book is pretty fascinating. Pitching in baseball always looks unnatural so me (completely opposite to cricket bowling, for example) although Jeff Passan tells me that it actually isn't. I wouldn't know enough to argue. I like the structure of this book following two pitchers through Tommy John surgery and what happens after (the news is a lot better for one than the other) as well as a wee bit of following Jon Lester (a "paragon of durability") through free-agency. I think it's cool that To This book is pretty fascinating. Pitching in baseball always looks unnatural so me (completely opposite to cricket bowling, for example) although Jeff Passan tells me that it actually isn't. I wouldn't know enough to argue. I like the structure of this book following two pitchers through Tommy John surgery and what happens after (the news is a lot better for one than the other) as well as a wee bit of following Jon Lester (a "paragon of durability") through free-agency. I think it's cool that Tommy John surgery was named after the first patient rather than the surgeon - so unusual. What is most interesting to me about the whole book is how little we know about prevention and rehabilitation. We don't really know why some pitchers need it and others don't, the impact of velocity or number of pitches, or the best way to get back to pitching after the surgery. I was appalled by the situation with kids pitching especially in Japan where the culture of work is so strong. In recent years there has been a dramatic increase in the number of surgeries to replace Ulnar Collateral Ligaments in major league baseball pitchers. What may be less well known is the startling increase in the number of the surgeries (commonly called Tommy John surgery) in children. Jeff Passan explores the phenomenon through interviews with doctors, players, former players, and team executives. 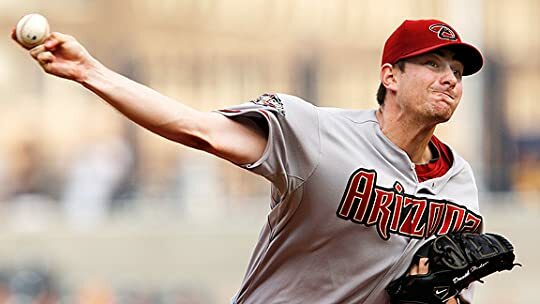 Along the way, Jeff follows the attempted comebacks from Tommy John surgery of two former MLB playe In recent years there has been a dramatic increase in the number of surgeries to replace Ulnar Collateral Ligaments in major league baseball pitchers. What may be less well known is the startling increase in the number of the surgeries (commonly called Tommy John surgery) in children. Jeff Passan explores the phenomenon through interviews with doctors, players, former players, and team executives. Along the way, Jeff follows the attempted comebacks from Tommy John surgery of two former MLB players: Daniel Hudson and Todd Coffey. The main takeaway for me was that we really don't know what causes the UCL to break in some arms and not others although overuse does seem to be a primary indicator. Scientific exploration of the problem has been slow to develop, but recently MLB has begun to keep databases of injuries which may bring relationships to light if not prove causality. Some teams, such as the Dodgers, have also hired researchers to study the problem. The arm is a book of passion. It seeks to solve an unsolvable problem, one that is the most expensive in professional sports. The main context of the book follows Todd Coffey and Daniel Hudson, and subsequently their families. Each man is attempting to come back from a second Tommy John surgery, a procedure that repairs the UCL in the elbow by replacing the tendon entirely. The Arm uses insight, interviews, and boundless research to tell the history of the procedure and why it is more common today The arm is a book of passion. It seeks to solve an unsolvable problem, one that is the most expensive in professional sports. The Arm uses insight, interviews, and boundless research to tell the history of the procedure and why it is more common today than ever before. Truth be told, there is no one set solution, as Passan writes. Every arm is different, but there are common threads that can lead toward a solution. Coffey and Hudson are raw and at times lewd, but what Passan shows is how tough it can be when you can't do what you love. Highly recommended for baseball fans who critically understand and interpret the game. Cool book. I consider myself a reasonably attentive baseball fan, but I hadn't noticed the rash of elbow injuries as a trend. The science of the surgery mixed with the highly personal rehab stories mixed with the investigations into baseball culture worked well. An honest appraisal at one of sports' biggest mysteries. The author tracks two pitchers with horrible arm injuries as they attempt to get back to the major leagues. He takes us into the sordid world of youth travel ball, Japanese youth baseball, the operating room during a Tommy John surgery, and many other places. He mentioned one of my favorite baseball books, The Diamond Appraised (Wright/House), the seminal work in discussing pitcher injuries. I am admittedly a total baseball geek, but I was An honest appraisal at one of sports' biggest mysteries.